Windows should be cleaned thoroughly at least a couple times a year in the early spring and closer to fall. Of course, this is in addition to any wiping up of fingerprints and smudges that you might see during weekly house keeping. And cleaning them more often never hurts. 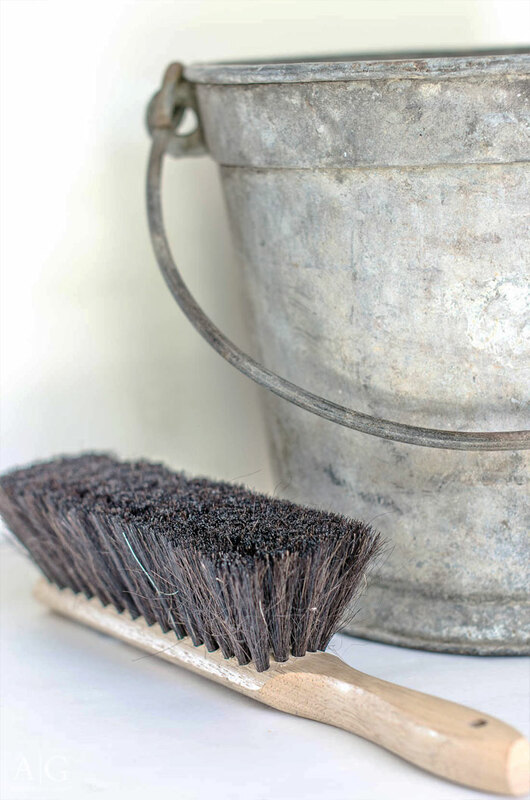 This annual cleaning will keep your home looking its best both on the inside and the outside. There is nothing you can do that will enhance the beauty of your your home so easily. Having the right tools and following these simple steps will ensure that your windows are clean and clear in no time! SO WHAT TOOLS WILL YOU NEED? 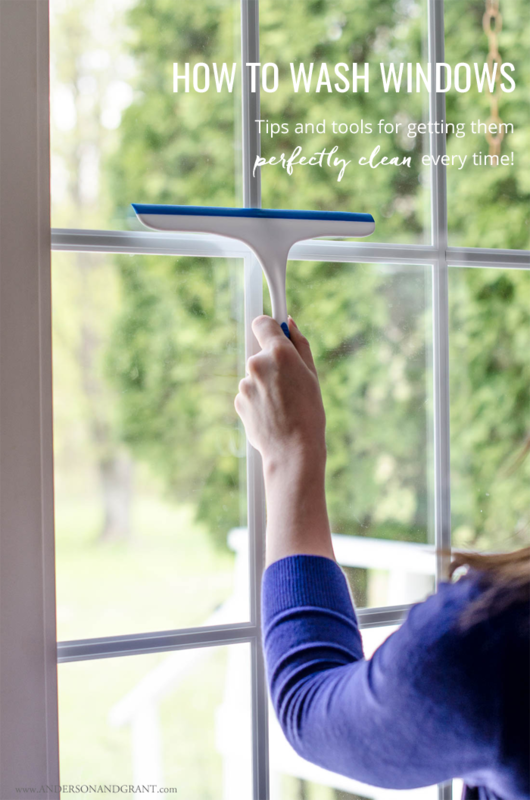 - Brush the window and window frame with a soft-bristle counter brush. Remove all the dirt, debris, and cobwebs and don't forget to pay attention to the hinges, sill, and track of the window. - Create a solution of one part vinegar and one part hot water in a large bucket. 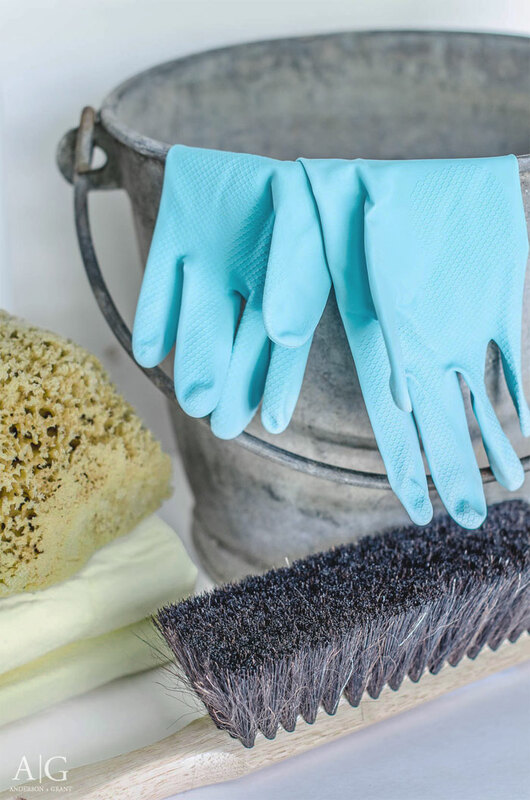 Wipe down the window with a large sponge dampened in the cleaning solution. - Wet the squeegee blade with the cleaning solution. This will keep your blade from skipping on the window and leaving streaks. Start in the upper corner and pull the squeegee down the window pane. Tilt the squeegee in the direction in which the blade is moving. This will force the water into the wet area of the window and not where you've already cleaned. Wipe the blade off with your chamois to remove any excess moisture and return to the top of the window slightly overlapping your first stroke. Continue over the entire window with your squeegee. - When the window is done, take one final stroke horizontally across the bottom of the window to remove any excess solution that has collected there. Wipe the window sill dry with your chamois and you're done! Window washing should be done on a cloudy day. If that isn't possible, clean the window only when the sun is not shining directly on it. The sun's heat will cause your cleaning solution to dry too quickly and will result in streaks and water spots. If your windows are especially dirty, go over them first with a dry paper towel to wipe off the dirt and dust. Use straight vertical strokes on one side of the window and horizontal strokes on the other. That way, if you see a streak on you finished window pane, you'll know which side it is one. If you are using the squeegee indoors, place a towel on the windowsill to catch the drips coming off of the window. Be sure to use a chamois or lint free cloth that has not been washed with fabric softener, which will leave a residue and streak your glass. Thank you so much for letting me share all these tips with you today! Are you inspired to do some cleaning now? Here is a handy printable guide for you to keep all of these tips organized. I've laminated one for myself and keep it in the box with everything else I need for washing the windows. Click the image below to open the printable PDF.